Configurations from 2 to 16 lane are built to meet your specific needs. 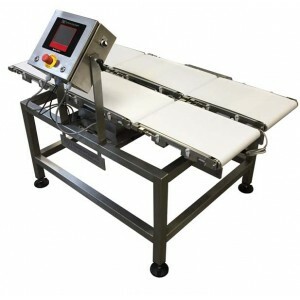 Available configurations include drag chain, belt conveyor and gravity assisted fixed scale designs. Flexible and rigid packaging, close centerlines and limited footprint are considered for each application. Use of standardized and readily available load cells provide solid performance and keep cost of ownership low. Many options for rejection and identifying off-weight packages.